The ADS7816 is a 12-bit, 200kHz sampling analog-to-digital converter. It features low power operation with automatic power down, a synchronous serial interface, and a differential input. 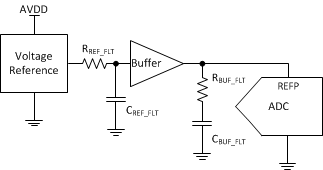 The reference voltage can be varied from 100mV to VCC, with a corresponding resolution from 24µV to 1.22mV. Low power, automatic power down, and small size make the ADS7816 ideal for battery operated systems or for systems where a large number of signals must be acquired simultaneously. It is also ideal for remote and/or isolated data acquisition. The ADS7816 is available in an 8-pin plastic mini-DIP, an 8-lead SOIC, or an 8-lead MSOP package.